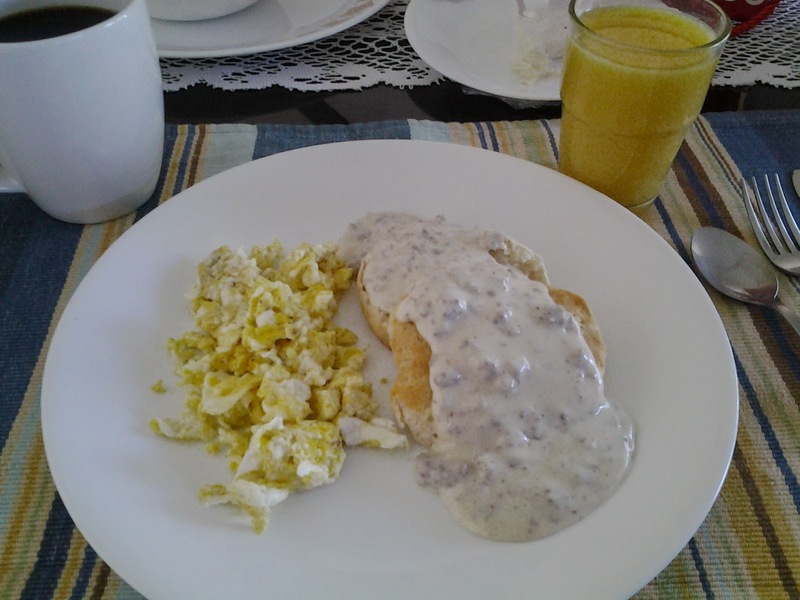 One of my favorites breakfast here in America, or better say the one I will get at a country restaurant in any little town we had visit, is Biscuits and Gravy. We all agree that making your own biscuits is ideal,(Country Bicuits) but if you are traveling or camping, you can always buy those that come on a can, (they make me scare every time I open them). Here is my easy camping recipe. 1. Cook biscuits accordingly with package instructions. 2. In a heavy bottom pot, brown the sausage. When browned add the flour and mix through. 3. Quickly incorporate the milk, while stirring to make sure you do not get lumps. 5. Serve over split biscuits.